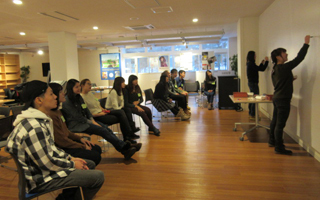 At the International Lounge, located on the first floor of the Center Building (which was renovated in 2015), a variety of international programs are held for all Hokusei Gakuen University students. 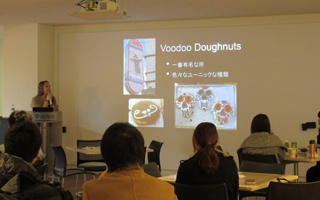 Three main programs are offered, named the “Ambassador Program” (introduce your university and culture to Hokusei Gakuen University students), “International Cafe” (work as a Cafe staff member) and “Gaikokugo-Asobiba” (play games such as cards with Hokusei Gakuen University students). Additionally, new international activities and events are being offered, so please feel free to come and join us!